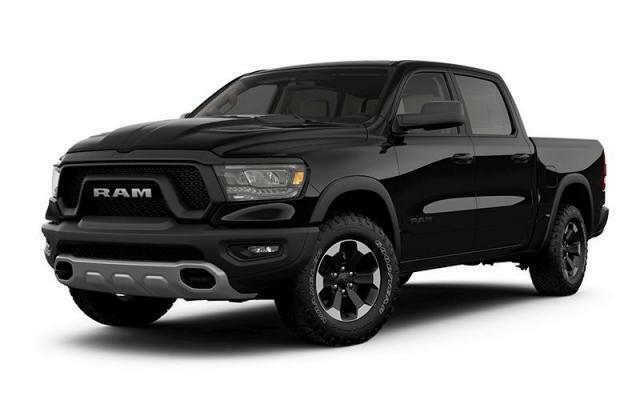 Find your wild side with our HEMI Powered 2019 RAM 1500 Rebel Crew Cab 4X4 in Diamond Black Crystal Pearl! Powered by a 5.7 Litre HEMI V8 that offers 395hp while matched to an 8 Speed Automatic transmission for astonishing passing authority. You will be in total control with this unstoppable Four Wheel Drive truck equipped with eLocker differential, Bilstein Monotube Shocks for incredible off-road capability scoring 9.4 L/100km. Add some extra swagger to your day with our Rebel that commands the road with unique wheels, a large black grille, and dual exhaust. Our RAM 1500 has undergone rigorous testing and offers priceless peace of mind with a backup camera, stability control, trailer-sway control, and an advanced airbag system. Climb inside this Rebel and reward yourself with its legendary performance, capability, and comfort. Print this page and call us Now... We Know You Will Enjoy Your Test Drive Towards Ownership!